Get a variety of ice-cream flavors, and a variety of toppings. Bulk Barn is a great place to shop for your toppings. 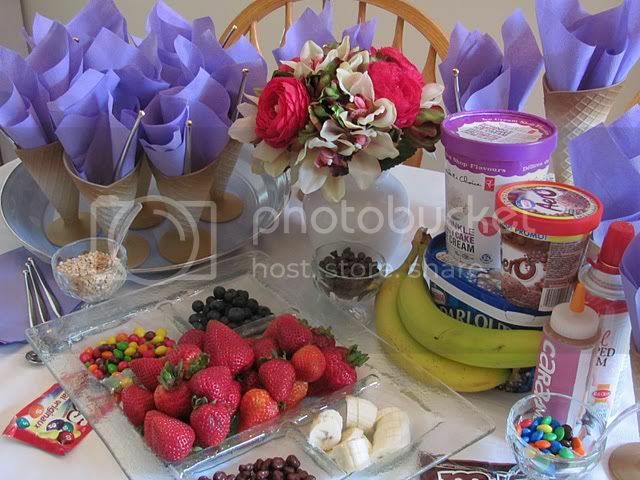 Here I have used chocolate chips, nuts, blueberries, strawberries, bananas, M & M's, whipping cream, caramel sauce, mini marshmallows. This is "cool" dessert idea for these hot summer days, but it can easily adapted to other times of the year. 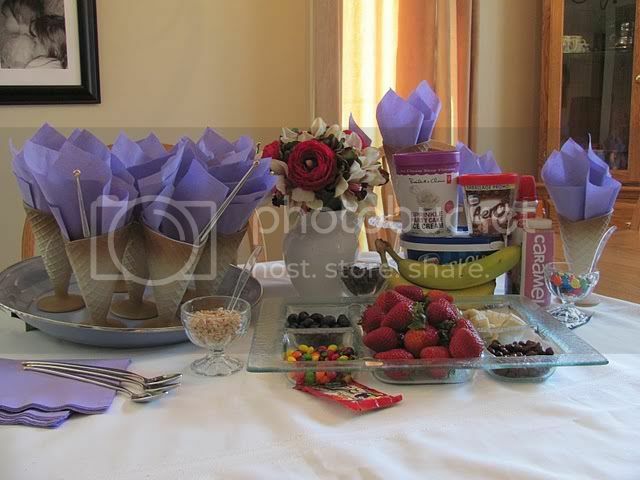 If you are using it for a holiday use candies that pertain to that holiday. This would be a great brunch idea using frozen yogurt and fruits. My daughter had this at her birthday party instead of a birthday cake. 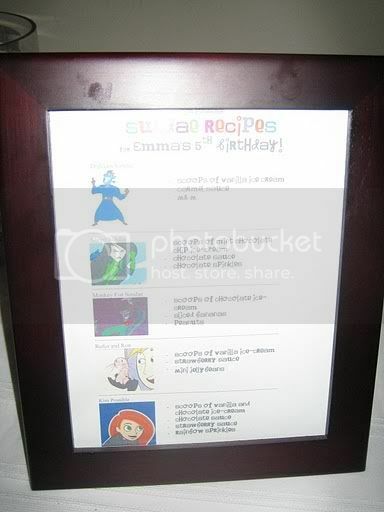 We made "recipes" for sundaes and named them after characters from the theme of her party. It was a Kim Possible party.